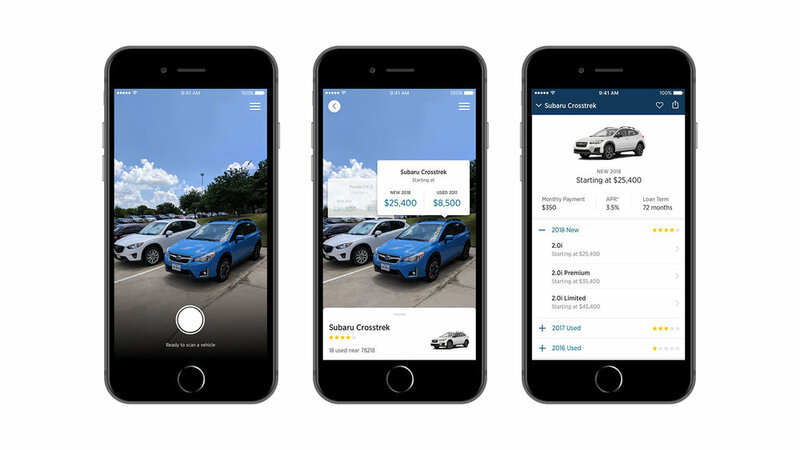 USAA Auto AR is an augmented reality platform for USAA members to quickly view, explore, and capture information on vehicles right in front of them. Auto AR is an augmented reality platform for USAA members to quickly view, explore, and capture information on vehicles right in front of them. To comply with my non-disclosure agreement, I have omitted and obfuscated confidential information in this case study. The information in this case study is my own and does not necessarily reflect the views of USAA. While the existing USAA Auto buying experience allows user to look up, get quotes, and gain an understanding of how an auto purchase will impact their overall financial health, these interactions remain bulky and are not leveraging the advantages provided by emerging technologies. The combination of augmented reality, computer vision, and machien learning has given us the unique opportunity to not only recognize vehicle with our product, but to also offer relevant details about those vehicles to our membership in 3D space. The team wanted to develop a product which took advantage of all of those opportunities. USAA has committed to building an environment which encourages employees to develop new solutions which can bring value to the membership. Augmented Reality offers a unique opportunity to provide our membership with insights in a truly new way. Part of USAA’s mission is “to facilitate the financial security of its members,” as such, the product needed to help our members determine whether or not buying a vehicle is in their best financial interest. The success of this project hinged on it being more than a simple novelty, the product needs to communicate details about a vehicle which helps our membership make the most informed purchasing decision possible. The user holds up their phone to the vehicle and walks around it so the app can gain understanding of its surroundings. Data is sent to BlipAR and processed, vehicle information is returned. Further information of pricing and ratings is then gathered and displayed. The user can now select the presented information to learn more about the vehicle, or receive loan and insurance quotes from USAA. Through performing research on our members, the team was able to identify key areas in their auto-buying journey which could be improved through augmented reality. Such as, the overall difficulty of conducting research and saving resources for later review, as well as sharing that information with a significant other. The team conducted 12 member tests through usertesting.com which allowed us to validate, but also disprove, some of the assumptions we had made through research and developing this product. 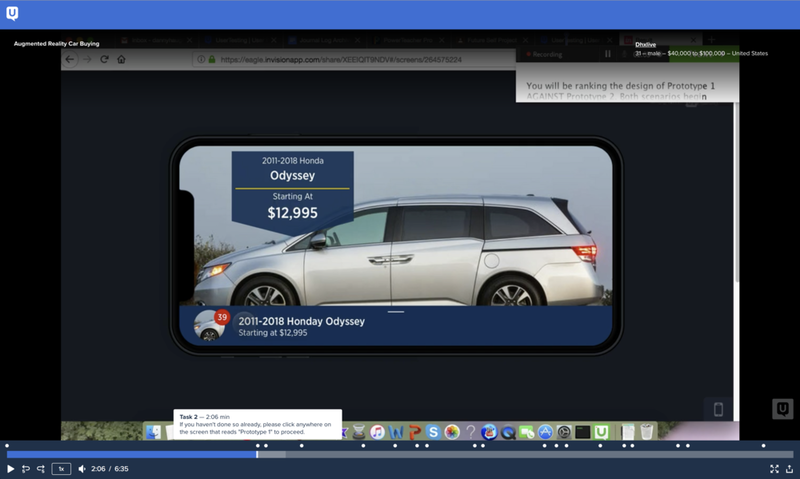 For instance, while the app was providing a good high-level overview of vehicle details, members wanted ways to explore a vehicle in-depth without having to leave the app for a manufacturer or dealership website. The project is still in development, however it is already working as a catalyst to draw attention to the potential impact augmented reality technologies could have on USAA infrastructure and out member base. This project has been the basis for several technology touch-base meetings throughout the company, and is slated to be incorporated into USAA's existing car buying infrastructure. The team quickly learned that ergonomics plays a large role in any AR project. If a member is forced to hold up a phone the stop wanting to use the product. 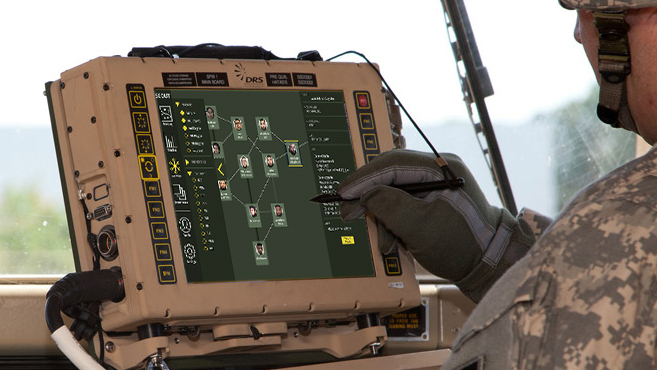 We quickly moved ot a hybrid model where the most relevant information was displayed in AR, then more details were presented to users using existing the design patterns they’ve come to expect. Augmentd Reality is as new for our membership as it is for designer and developers. We are all learning how to use this new technology. Considering this, the onboarding process for this product was a particularly and important phase of the process. At first, the team was overzelous about the capabilities of augmented reality, so we were displaying as much information as possible in space. Although initially engaging, thius was not the simplest, or most intuitive way to educate members.